UPP110HD is a roll film of diameter 110mm x 20M lengh, producing prints of A6 size, with approximately 240 prints per roll. 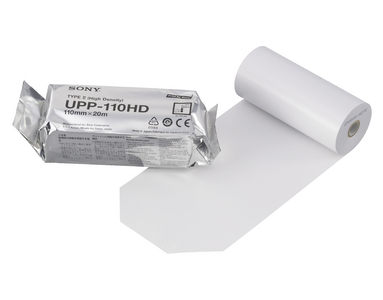 Sony UPP110HD thermal paper is sold as a 10 roll box. Price quoted per box. When ordering indicate below, the number of boxes of 10 rolls required .